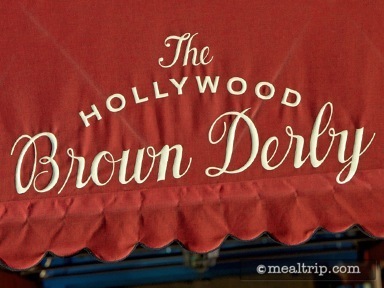 The Hollywood Brown Derby is a replica of tinseltown’s second Brown Derby location, which had opened in 1929, and was mostly destroyed by a fire in 1987. The interior design is classic California Golden Age, and walls are adorned with caricatures of famous personalities of yesteryear. 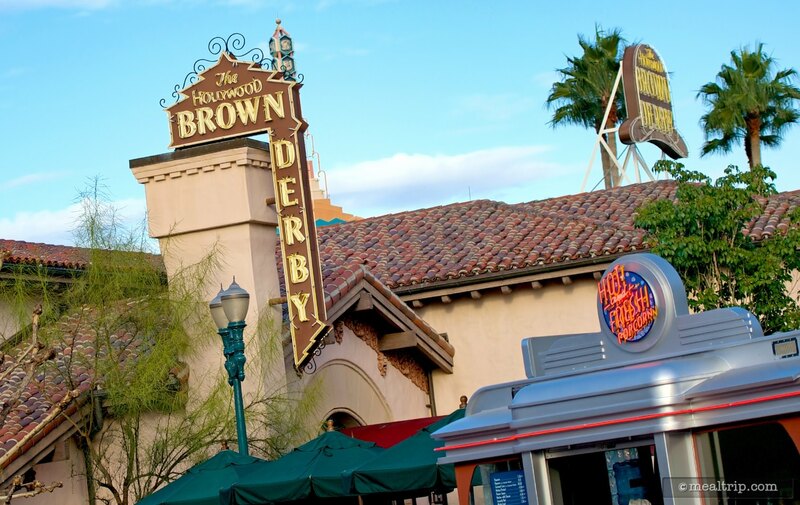 Being a Disney signature restaurant, the menu is upscale but still very accessible for everyone. 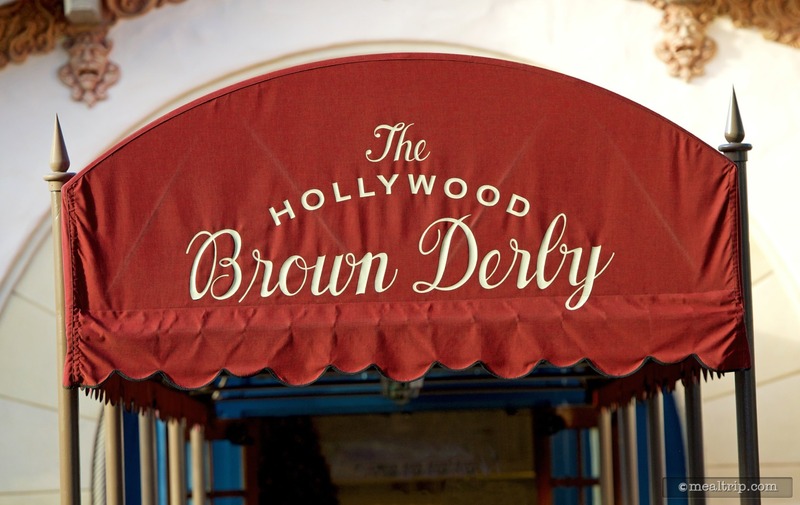 Starters range from the Brown Derby Cobb salad and Lobster Bisque to entrees such as Charred-glazed Filet of Beef and Duck Two Ways. There are several New World wines, from California, Argentina, Australia on the beverage menu, along with a “world wine flight” which includes three pours from around the globe. The Grapefruit Cake is a Brown Derby original dessert, but there’s also a few new twist on classics, such as a caramelized apple cheesecake and double vanilla bean creme brûlée. CLICK HERE to view all 2 images in our photo gallery.